Look no further. Enter Microsoft Security Essentials. It's the best of the best anti-virus solution for Windows XP/7/8. You heard the news. A lot of PC were made dead because of anti-virus software upgrades. Who can you trust for 100% compatibility with Microsoft Windows? It's Microsoft itself! MSE consistently receives highest rating at independent virus test lab AV-TEST. Virus infection is a long-time headache for the Windows PC platform. Microsoft is releasing this as a free solution for its customers. You can't beat its price tag. Did you notice a significant increase in system bootup time after installing a 3rd-party anti-virus software? Take an example, Norton AV is a 250MB download and consumes hundreds of MB of RAM when running. That also means you have fewer memory for your productivity applications. A lot of people didn't realize that Microsoft has offered free AV for some time. Even if you knew, you probably didn't know MSFT has expanded the free offer to business use! This is top-grade antivirus software which receives rave reviews across the Internet. Try it out and it's going to save your businesses some nice bucks. 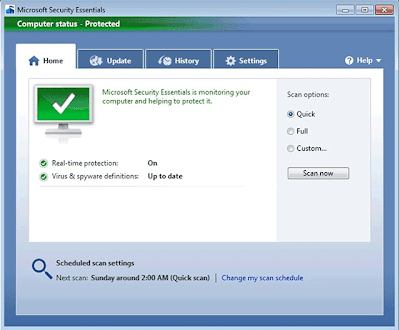 Microsoft Security Essentials continues to be the #1 free AV solution in the market. Well done Microsoft.